Is there anywhere else quite like THAILAND? A country that at the same time feels both familiar and mysterious. That veers between hectic cities and thick jungles and yet is safe, friendly and easy to explore. Where you can find so many ingredients for a brilliant family holiday all within its borders. Ancient temples, exotic wildlife, national parks and night markets – Thailand’s got it all. 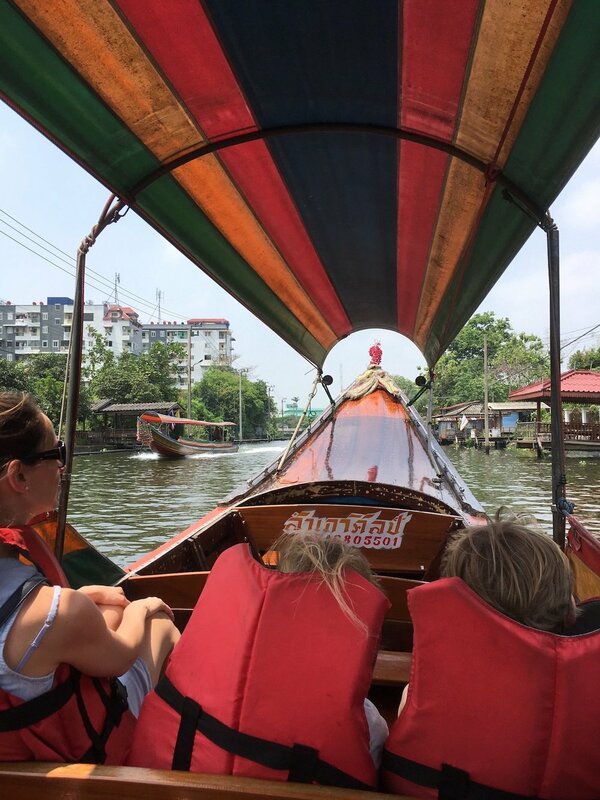 Our most recent big family trip, Thailand was our children’s first taste of Southeast Asia. And they were completely blown away. Travelling from one exciting experience to the next, we visited enormous golden Buddhas in Bangkok, saw gibbons and hornbills and bats and giant bugs, toured the temples of Ayutthaya by tuk-tuk and splashed about in the Andaman Sea. They loved learning to cook in Chiang Mai, fell head over heels for the elephants of Khao Sok and tucked into delicious curries and unusual-looking fruits wherever we went. This is our trip, the ultimate family itinerary to Thailand. In two weeks, you’ll travel the length of this beautiful country, from the waterways of Bangkok and the Lanna kingdom of Chiang Mai to the picture-perfect beaches of the south. En route, there are caves to explore, trains to ride, elephants to bathe and translucent seas to snorkel in. And that’s just for starters.